of Floats in Pasadena, California. floral piano keyboard and among its four eight-foot tall floral drums. the correct rate for CPR – 100 to 120 compressions per minute. a CPR-inspired dance choreographed by Juried. and continued for five minutes until paramedics arrived to relieve him. CPR club at her school to teach others the life-saving skill. Juried’s heart back into a normal rhythm. and No. 5 killers of both men and women. 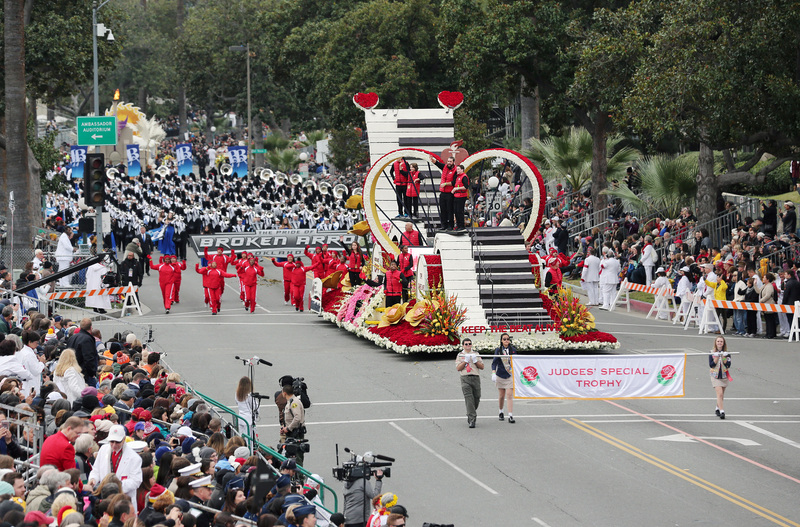 the AHA in presenting a Rose Parade float. Mutual and a variety of accompanying events. For more information, visit www.tournamentofroses.com. Bank is in San Francisco, California.